If you are planning a new garage door installation near Amelia Beach, be sure to check out the line of doors that are available from Clopay. In this video, you will take a quick look at some of the gorgeous models that are available from the Clopay garage door brand. From modern to contemporary, Clopay offers garage doors that suit every type of home. To start exploring the design possibilities for your new garage door, get in touch with a garage door company in your local area. With assistance from a team of garage door specialists, you will be able to select and install the beautiful garage door of your dreams. 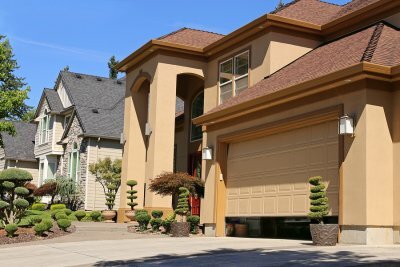 While the door that you have installed on the front of your garage is obviously very important, it’s the garage door opener that is the heart and soul of the space. Without it, you would have to manually open your garage door each and every time you wanted to use it, and you wouldn’t get the peace of mind that comes along with using a garage door opener in Jacksonville. There are many garage door openers available today, but when it comes time to buy one, you should strongly consider a Liftmaster garage door opener because of these excellent features. The days of mounting a big, bulky garage door opener on the ceiling of your garage are over. Or at least, they could be over if you opt for one of the Liftmaster models that mounts on the wall of your garage. 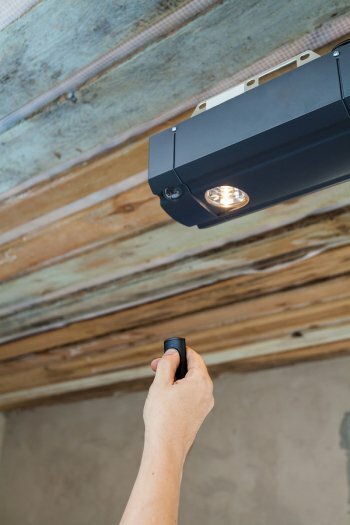 Options like the Liftmaster Elite Series 8500 will mount on the wall and save you from having to mount your garage door opener on the ceiling. It will also take up a very small amount of space, which will give you more room to enjoy your garage. You obviously don’t want other people to be able to access your garage when you aren’t home. This is why Liftmaster uses a special Security+ 2.0 feature that is unique to their garage door openers. With this additional security, you will be able to use a programmable garage door remote or a key pad located inside of your vehicle to open your garage. You don’t need a garage door remote to open some of Liftmaster’s latest models. Instead, all you need is a smartphone. You can sync it right up to your Liftmaster unit and open your garage simply by touching the screen of your phone. If the power in your home ever goes out, you’re going to want to have battery backup so that you don’t lose the ability to open your garage. Every Liftmaster garage door opener comes with battery backup built right into it.